Huawei has its very own annual launch event, during which the company’s new flagship devices are generally pushed out. However, an exception was made this year – with Huawei announcing the cutting-edge P10 and P10 Plus handsets at the MWC event. Both phones have the powerful dual camera, and boast of advanced graphical display features. The Kirin 960 octa-core processor ensures superior performance of the P10/P10 Plus. With thicknesses of 5.1” and 5.5”, the devices are relatively slim as well. The South Korean smartphone manufacturer had already mentioned that the Galaxy S8/S8 Edge won’t make an appearance at MWC 2017. However, mobile app developers and software experts at the event had expected Samsung to come up with other new launches – and the company did not disappoint on that count. The Tab S3 Android tablet was launched, and it captured the attention of all the attendees. The breakthrough feature of this AMOLED HDR tablet has to be the 4 AKG speakers – for enhanced audio capabilities. Early reports have also confirmed that the audio output will vary with the orientation of the device (portrait vs landscape). Modular phones are well on their way out, as was confirmed by one of the early releases at MWC 2017 – the smartly crafted LG G6. The design features of the handset have undergone a complete overhaul, with the battery being attached with the chassis (the 3300 mAh battery promises better backup) – and the 5.7” screen comes with QHD+ FullVision HDR display. The 32 GB storage is an excellent feature too – but what really takes the cake is the pair of 13MP cameras on the front and the back. Powered by the Snapdragon 821 chip, the LG G6 should emerge a winner. This year’s Mobile World Congress also saw Blackberry mount its latest attempt for a comeback in the smartphone market – with BB KeyOne. The Android phone – which has the good ol’ physical keyboard (a signature of Blackberry) – is designed by TCL Communications (China). KeyOne also has touchscreen features, and a more-than-decent 12MP rear camera. The ‘quick charging technology’ of Blackberry KeyOne allows the phone to go up from 0% to 50% charge in only 36 minutes. At 4.5”, the screen size remains the main point of concern for this handset – particularly at a time when Apple and Samsung are both considering the removal of bezels for more display area. Whether it would indeed be a practical handset or a mere trip down nostalgia lane – the re-launch of the classic Nokia 3310 has met with widespread interest and anticipation from people across the globe. The new avatar of the handset is slimmer than its predecessor and will be available in full colour gloss (yellow, red) and matte (grey, blue) finishes. The built-in camera of the phone is of 2MP, and display screen is 2.4”. For a feature phone that does not even have 3G connectivity (2.5 G, or EDGE connectivity is available), the excitement around Nokia 3310 is incredible. HMD Global also used the MWC platform to announce three new budget Android phones – Nokia 3, Nokia 5 and Nokia 6. As was the pre-event buzz among hardware and mobile app development experts, Sony launched a new flagship phone – the Xperia XZ Premium – at MWC 2017. The handset is the very first to come with a full 4K HDR display (Sony had similarly pushed the envelope with Xperia Z5, the world’s first 4K resolution smartphone). The revolutionary ‘Motion Eye’ camera of this 5.5” handset is of 19 MP – and it offers an impressive 64 GB of storage space, to go with the 4GB RAM. The quality of the processor (Qualcomm Snapdragon 835) delivers speed and performance assurances. The XZ Premium and the XZs also allow 720p video recording at 960fps – another first among smartphones. The 5” full-HD Moto G5 looks to consolidate the hold of Motorola (now under Lenovo) in the budget-end of the global smartphone market. The brand-new handset comes with a metal finish for a more premium feel and is powered by Android Nougat. The 5MP selfie camera and the 13MP rear camera are both powerful, and the G5 draws its performance from the built-in Qualcomm Snapdragon 430 chip. The 16 MB internal storage (with microSD slot) is serviceable, and the 2800 mAh battery should prove to be good enough. The Moto G5 Plus was also launched alongside Moto G5 at the event. If most of the above announcements were as per the expectations of app makers and general tech enthusiasts, this one was certainly a surprise. The very first Porsche Design computer – the Book One – was launched at MWC 2017 amid much fanfare. Powered by Intel Core i7, the Windows two-in-one computer promises a range of excellent features – right from detachability for tablet-like display, to all-round flexibility and easy interactions with the attached pen. The Porsche Design Book One will be a pricey device – but its features might make this computer worth the tag. At this year’s Mobile World Congress, there was movement on the ‘connected cars’ domain as well – with Ford announcing its collaboration with Vodafone for the launch of high-tech 4G modems for its vehicles (in Europe only). As many as 10 separate devices can be connected with the 4G LTE modems – which might just trump wifi in terms of speed and performance. Ford is looking to test the in-car modems in Germany, Spain, Italy and France to start with – before eyeing a wider release. The Porsche Design Book One might have powerful features – but it already has strong competition in the form of Lenovo Yoga 520, also announced at the MWC 2017. This two-in-one convertible laptop also comes with a pen for users (‘Lenovo Active Pen’) and has a 14” HD display with NVIDIA GeForce 940 MX graphics processing unit. The highly-responsive fingerprint scanner for Windows Hello and the Harman Speakers add to the appeal of the Yoga 520. With 1TB HDD and 16GB RAM, this offering from Lenovo is expected to have many takers. Touted as the ‘world’s fastest smartphone’ by ZTE, the Gigabit takes download speeds on mobile devices on an altogether higher plane. Released as a prototype at this year’s MWC, the phone brings about downloads at an amazing 1Gb/s – nearly 10X the average download speeds on existing smartphones. The ZTE Gigabit is still a work in progress, but it certainly has shown the world that the company is set for the 5G revolution. Oppo typically focuses on showcasing new mobile technologies – instead of actual handsets – at MWC events. Last year, it was all about the ‘Super VOOC’ fast charging tool…and this time, the attention shifted to digital zooming capabilities of mobile phone cameras. The company showed off loss-free 5X digital zooming technology (inspired from how periscopes work) – achieved by bringing down the overall size of the camera module, and adding on the features from the Oppo image fusion technology. Oppo smartphones have always had superior camera as their USP – and that is set to continue. The 4-seater Instinct concept car – Peugeot’s ambitious autonomous vehicle – was also displayed at the MWC 2017. Huawei popped up with an Android Wear 2.0-powered smartwatch (Huawei Watch 2), virtual reality got a boost with the Samsung Gear VR Controller, Sony added the Xperia A1 and Xperia A1 Ultra to its new line of phones, and Google announced that the Google Assistant will be made available on all devices running on Android Marshmallow or Nougat. Moving slightly under the radar were a slew of more releases – the Gionee A1/A1 Plus, the Android One-powered GM 5 Plus from General Mobile, and the slightly odd-looking HiSense A2. 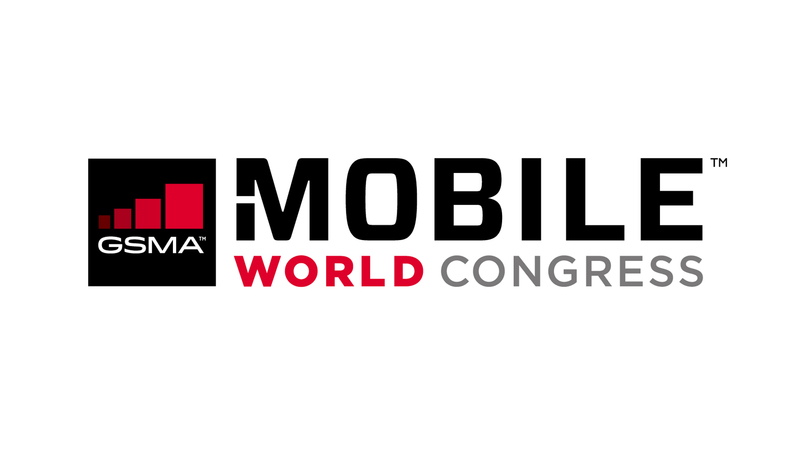 MWC is billed as one of the biggest annual tech events in the world – and the 2017 edition indeed more than lived up to the hype!